I've had little time for projects lately and was feeling a bit antsy. 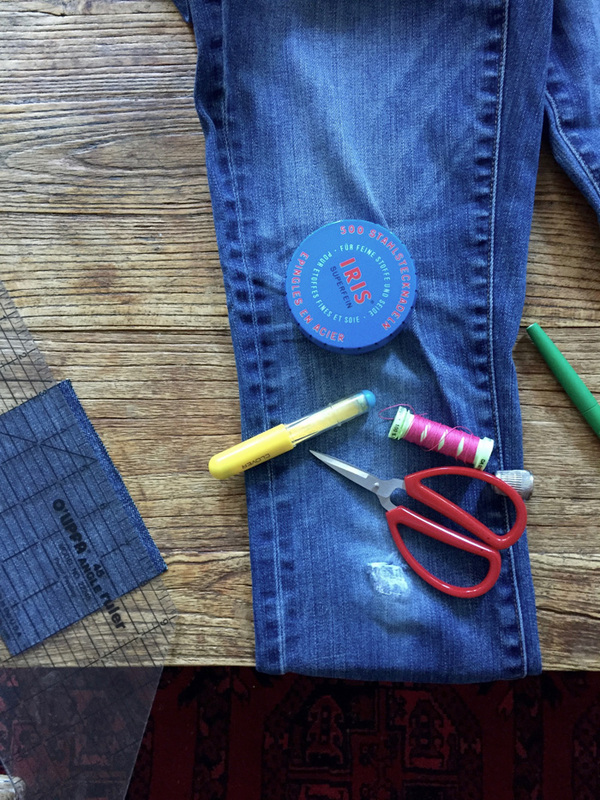 This project was short and quick and had just the desired therapeutic effect of busy hands and an empty mind -kind of like knitting. 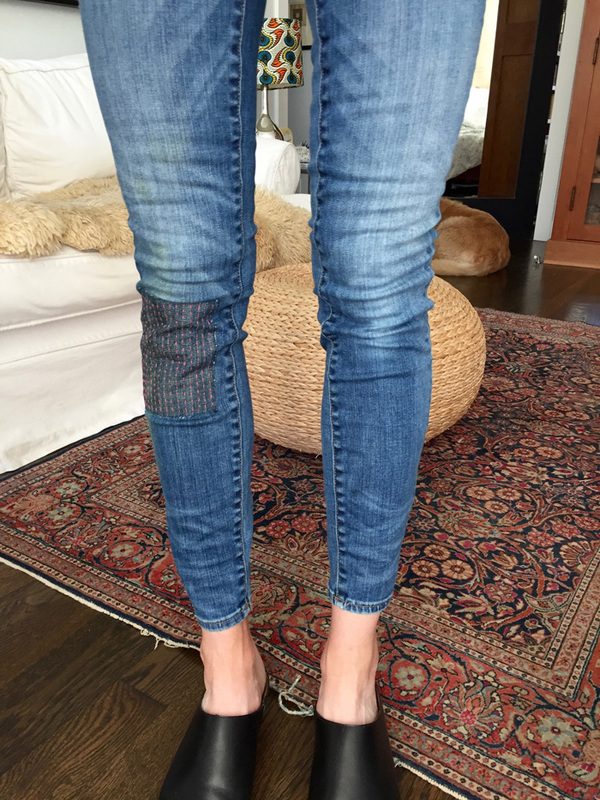 I often wear through the knees of my jeans. I am particularly fond of this pair so I wanted to salvage them before that rip got too big. I'd already repaired it once on my machine but the patch was too small and was already tearing again. 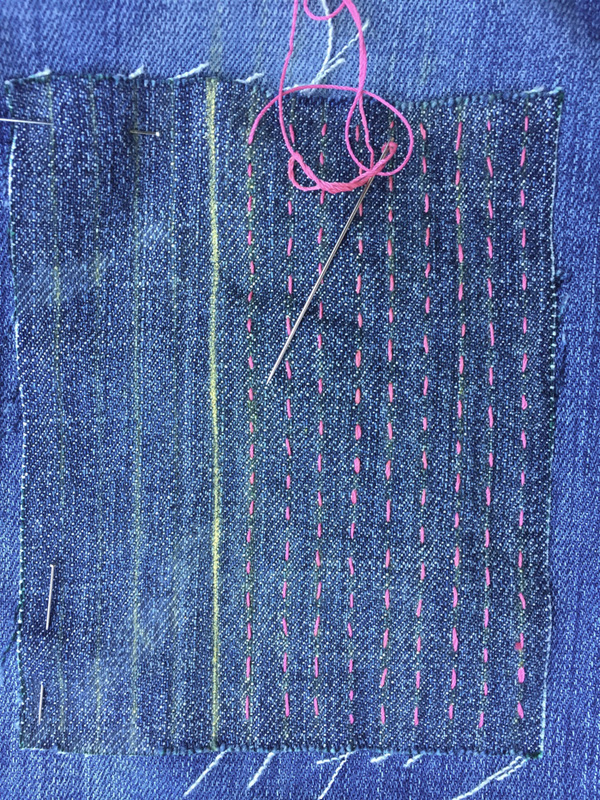 I've long admired but never tried this style of mending; It's pretty fun. 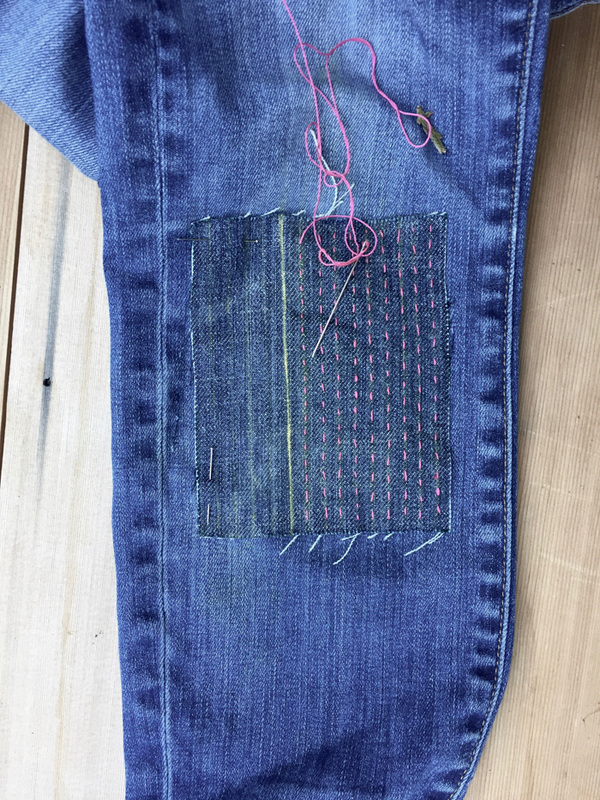 I dig the Wabi-sabi aesthetic, because I have a tendency to fall prey to perfectionism in my artistic endeavors -to a fault, and this approach is freeing as F. I did this repair in one evening. It's not completely without order. I used chalk lines to keep my lines running straight. 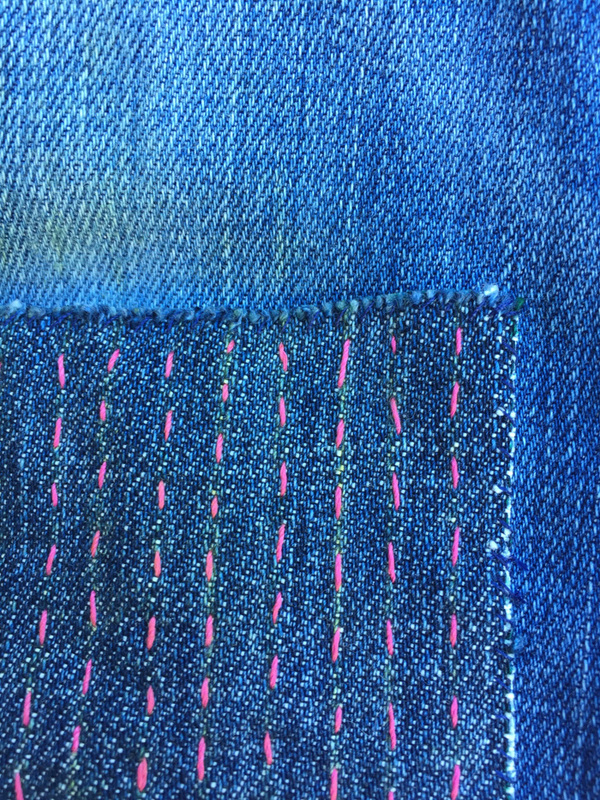 I substituted Gutermann heavy duty thread for the typical cotton Japanese stuff because that was what I had. 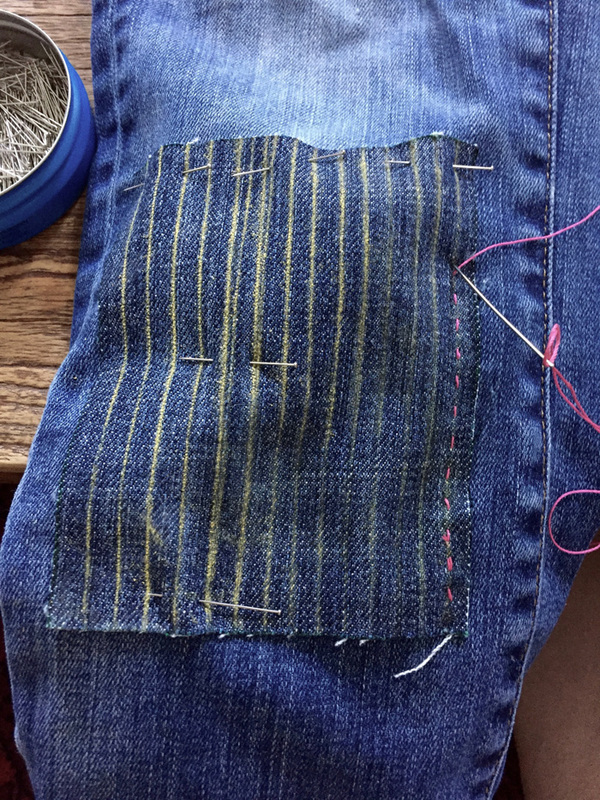 I plan to buy some of the real thread because I intend to do some more of this type of stitching, because as I said, it is super relaxing. 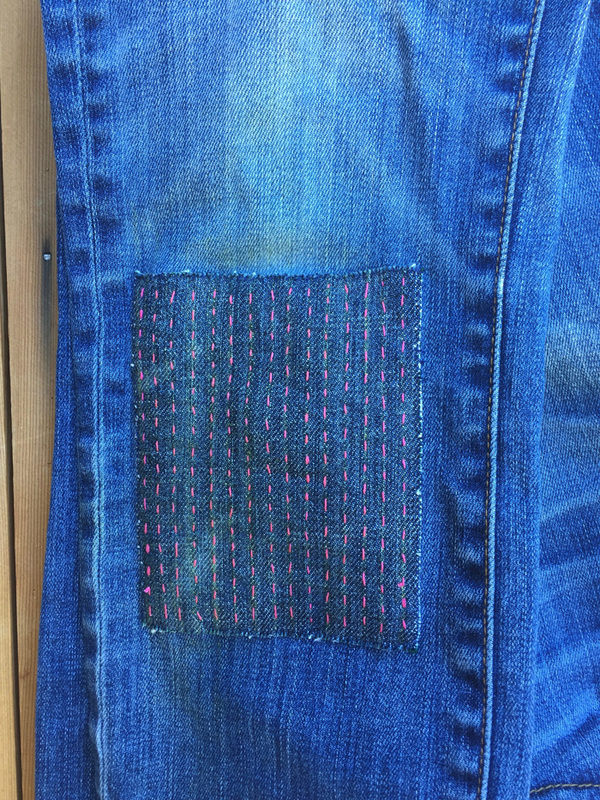 After I completed the pink, I hand stitched the perimeter of the patch with some regular blue tread to minimize fraying. It is barely visible. P.S. If anyone is wondering if I've kept up the knitting... I'm currently knitting my 4th hat. So, yes!